Founded by Jeff and Mary Clarke in St. Louis, Missouri, Mother Model is one of the top management and scouting agencies in the United States, if not the world. From developing Ashton Kutcher and Karlie Kloss to up-and-comers Grace Hartzel and Jennie Runk, there's no denying Mother Model's eye for talent. We spoke to Mary Clarke of Mother Model about how the industry has changed, the importance of models having their own voice, and how amongst a bevy of new mother agencies, Mother Model has remained in a league of their own. The Business Model (TBM): What made you two decide to open a management company? Mary Clarke (MC): I had been placing models for awhile in Iowa when I met Jeff. We started holding scouting events and gaining the attention of the top agencies in the world. When we moved to St. Louis in 2001, we made the decision to focus solely on scouting and becoming the best mother agents we could be. TBM: Did you always have an interest in fashion? MC: I have always had an interest in fashion. I began having a real passion for it in high school, studied fashion merchandising for awhile after high school, and then became immersed in holding fashion shows back in Iowa. When I met Jeff he was working in the retail end of fashion. He had always had love for it as well. TBM: You've helped launch the careers of some major names, what was it like to watch them grow? MC: It’s hard to describe what it is like to literally be the first person to see something special in someone, long before the rest of the world does. I will say with both [Ashton Kutcher and Karlie Kloss] there were really special moments you never forget: many “firsts.” As a management company, it broadens your perspective and you know that anything is possible. It is so wonderful seeing Grace Hartzel entering into the ranks of supermodel as well. It’s a joy to be in the midst of raising another super star. I will say the thing I hate most about this business is when you discover and develop a star, the vultures come flying. The ugliest part of this industry is when people forget who was there from the start. There are people and agencies who are known for taking the credit and getting models to leave the ones who have done the most. They swoop in and financially benefit after all the hard work is done. It’s very sad and incredibly short-sighted. I am always inspired by those who stand by their mother agents for the longevity of their career. They are a rare breed, but some of the best in the industry through the years have done it. 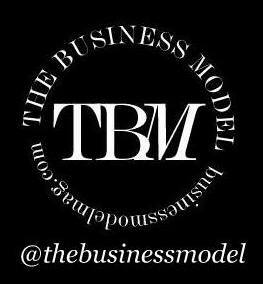 TBM: Mother Model has been a key player in the fashion and modelling industry for over 15 years. What are the values you stand by that have helped you? MC: Our values are the guiding force in everything we do. First and foremost we look out for the best interest of our models, personally, and then professionally. We understand as parents that these are young people and we need to take into account what is in their best interest as people, then as models. We tell all of our models and their parents, we will always provide them with the truth, even if it isn’t easy to hear. We don't sugarcoat things. We lead our business with our heart. Yes, we have burned at times because of it, but we know as people that’s just who we are. We love our models. We want to nurture them and pour ourselves into them, and we do. It doesn’t always mean that each model is going to go on to do well, even if we have invested lots of time, money, energy, and tears, it may not work out. That is a risk we are always willing to take, no matter the outcome. We believe in the law of the harvest. You will reap what you sow. We know eventually the harvest will come, one way or another. TBM: What does MM look for in potential models? MC: Our focus at Mother is high fashion, editorial girls and guys. We look for the height and body type first, and then an interesting beauty with a twist. We also have a high expectation regarding work ethic and respect. We have let some people go who weren’t willing to strive to be their best on every level - it just doesn’t work for us. We all work way too hard to not expect the same from the models we manage. TBM: With the large amount of new agencies opening worldwide, how important has it become for potential models to do their research when seeking representation? MC: It is more important than ever for models to do their homework. There are more agencies than ever, more aspiring models, more competition, and more people out there making big promises to young models, who don’t have the experience or capability of delivering on what they are saying. Look into the track record of someone, find out if they are legitimate. and well-connected. The reality is even though the modeling world is a big, global industry, at the center of it, the inner circle is actually quite small. TBM: As veterans of the modelling industry, what are some of the largest changes or shifts you've seen occur? MC: The biggest changes or shifts we have seen are that the lines are being blurred regarding beauty and body type. The “plus” world is growing and curvier body shapes are being welcomed and celebrated by the high fashion world. That makes us happy! We have two models on the grid of bridging that gap. Myla DalBesio & Olivia Ross are neither “plus” or “straight size” models. They are curvy and embracing the natural shape of their bodies. We also have incredible “plus” models including Jennie Runk & others making a significant mark on the fashion forefront. The other shift, which we believe is not so positive, is the ever growing number of new agencies and aspiring models. In order to keep the integrity of the industry, we think it’s important that agencies keep being selective in their process. The focus should be on quality, not quantity. Scouting is a huge part of your job where you often have to approach parents who are with their son or daughter, many of whom are not familiar with the modelling industry. TBM: What advice would you give to parents about the business? MC: My best advise is do your homework and move forward with objectivity. Parents have to learn to keep their emotions out of decision-making, find a great mother agent they can trust (who knows the business), and don’t be in a hurry. Sometimes parents start to think they know this business better then their management does. We have seen that destroy many girls careers. Years ago we created a project called ModelTruth. Although it didn’t end up being a financial success, our intention was to advise and direct with honesty. We believe it was an idea before its time. We are launching a new website in October and we are including lots of information for parents and aspiring models. There is so much incorrect information out there and sadly we see people get burned because of it. At Mother, we spend a lot of time advising parents, we have a document everyone receives with lots of details regarding what to expect in the process. I have an ebook coming out in October for aspiring models and a book coming soon after. We have always had the desire to help empower models and parents with proper knowledge about this fascinating industry. TBM: Do you ever scout on Instagram? MC: We have scouted on Instagram and have seen some interesting new faces there. We discovered an incredible model, Molly Constable, on Instagram. We found her, reached out to her, had her come stay with us and we arranged some test shoots. She is with JAG in New York and one of her first jobs was an editorial with Tom Ford for CR Fashion Book. TBM: What are your thoughts on models using Facebook and Instagram to promote themselves? Is it something you encourage them to use? MC: Don’t even get me started on this one. In my ebook I talk about this because there needs to be a proper way for aspiring models to present themselves through social media. First and foremost, every model should work to be toned and in their personal best shape before building a book, and shooting tons of pictures. Second, tagging themselves over and over to agents doesn’t accomplish anything, and more often than not will have the opposite effect. Remember, less is more and everyone appreciates professionalism when trying to break into the modeling world. TBM: With increased competition and social media being more prevalent than ever, many models are turning to other creative outlets to do more and to stand out. How important is it for a model to have their own voice? MC: We believe a model having their own voice is very important. We believe that about everyone actually. Life is short and having a clear sense of self is important. As a model, it is inspiring to people and hopefully will help encourage them to do the same. From the casting directors and clients standpoint, it can make all the difference in the world. We find them asking more and more for strong character driven models. We understand and agree that it's important. TBM: What are some of your new faces that you're really excited about? MC: We have the new faces we can talk about, and those we aren’t able to yet. But just a few that we believe are on the brink of new levels: Briley Jones, Hazel Crew, Hannah Novak, Paris Kissel, Alanna Arrington, Kateri Dion, Ellie Krause, the list goes on.. In the plus world; Leah Hassett, Kristin Perkins. Guys: Spencer James, David Osswald, and Alijah Harrison. Visit Mother Model's website here, check them out on Instagram, Twitter, and Facebook.